When you talk to a representative of a siding manufacturer, you’re going to hear how great their sidings are. You’re going to see all the fabulous features, and you’re going to hear about the energy efficiency, ease of cleaning, security features, even that they’re made from “space age” materials. Each and every manufacturer will tell you that their sidings are the very best…duh! What else would you expect them to tell you? Their job is to sell you that specific window. They’re not going to tell you anything negative about it. The sad fact is, that same representative could change jobs tomorrow and tell you why the windows he/she is selling for the new company are the best money can buy. The bottom line is you need an unbiased opinion and straight facts to make the best decision. You need to be able to compare windows. You need McIntosh. At McIntosh Home Design, we carry dozens of brands. We’ll show you different options and help you decide the best siding for you after comparing all the facts. Shop the smart way with McIntosh Home Design. Did you know that 60% of sidings performance depends on the quality of the install? You can buy the best siding in the world, but if it’s installed poorly, it won’t perform as promised. At McIntosh, we take installation very seriously. We have experienced crews who know what they are doing and use the best materials. Our installers take pride in their work. They know the McIntosh name stands for something and that’s important to them. When you hire McIntosh Home Design, you know the job will be done right. That’s why we offer our lifetime installation warranty. Remember, We’re In Your Corner…With us, it’s all about TRUST. We offer our customers any type of siding they desire, whether it is polymer siding, vinyl siding, metal siding, cedar shake, or stone veneer. Because we want to provide our customers with the best siding products to meet their needs, we take the time to educate them on the various siding options available. Set you home apart from the ordinary by adding the beauty of siding. The ultimate in today’s maintenance- free lifestyle is experienced when vinyl siding envelops your home. 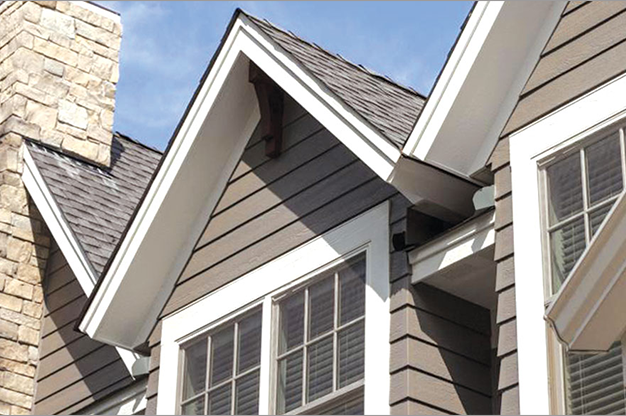 Totally eliminate scraping, priming and painting with siding that features modern technology for element protection and durability. McIntosh Home Design carries most brands of siding to fit a variety of needs. Just call today and a McIntosh Home Design representative will come to your home to assist you and give you a free estimate. One of our knowledgeable siding experts will be able to fill you in on the differences and answer all of your questions.